An investigation by researchers into nutrition offered by meals at three major chains of fast food restaurants found little change in salt, saturated fat or calories between 1996 and 2013. 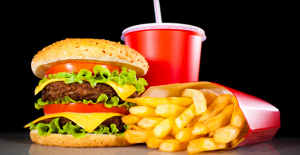 A team from the Department of Agriculture in the U.S. looked at the nutrition of the four most popular fast food items on the menu – fries, grilled chicken sandwiches, cheeseburgers and regular Coca Cola. Overall, the team of researchers looked at 27 menu items, including the three different sizes of fries and sodas, a chicken sandwich that was grilled and cheeseburgers that were 2 ounces and 4 ounces. According to researchers, the average amount of calorie, salt and saturated fat content of the items remained the same over a period of 17 years. Two trends that were positive were noted nonetheless. First the amount of Trans fats in the French fries dropped over a period of time, found the team. That probably was because of changes in fat for frying and the drop in Trans fat from 2005 to 2009 appears related to efforts by legislators, said the researchers. In addition, the researchers said a perception exists that the restaurants have expanded significantly the portion sizes over the same number of years, but fast food that researchers assessed appears not to have been part of that particular trend, said the lead author. According to researchers, the big danger as far as obesity and other issues regarding health comes when items of fast food are ordered together. Calorie levels as well as saturated fat and salt are high for the majority of the menu items that were assessed individually, particularly for different items that are sold frequently as a meal. That pushes the limits to what should be eaten to keep a healthy sodium intake and weight. Nutritionists have recommended that the majority of people eat only 2,000 calories daily. Amongst the three biggest chains, calories in a meal with a large cheeseburger, fries and a regular size cola drink, ranged between 1,144 and 1,757 calories during the years. That means a single fast food meal could add as much as 88% of the daily caloric intake for a person for the entire day. The salt intake in that meal is 91% of the daily recommended intake.